Our First Lady, Janice Turner is a native of Syracuse, New York. She attended and received graduate degrees from SUNY Cortland and Syracuse University with a focus on Urban Education and Elementary Education. As an employee for the Syracuse City Schools she taught elementary school for many years before becoming a writing trainer for elementary teachers and students, an instructional specialist, professional development trainer, previous adjunct Professor for Instructional Planning at LeMoyneCollege , Reading Specialist and her current position as a Reading Coach for the Reading First Initiative. In addition to her professional responsibilities she is a proud Soror of Zeta Phi Beta, Inc. Sorority, board member of the Refugee Resettlement Program, and has served as a member of the Syracuse Commission of Women. She is also an active participant in a grass roots action group that designs, organizes and implements parent and family workshops specifically for enhancing literacy habits at home and in our community. Sister Turner’s spiritual growth since childhood has been at Bethany Baptist Church. She has been an active member on the Usher Board, Women’s Ministry, Membership Committee, Greeters Ministry, Workshop Presenter, and a requested speaker. Sister Turner feels blessed to have met and married the love of her life, Pastor Phil M. Turner. Together their commitment is to God, family, Bethany Baptist Church and the Syracuse community. 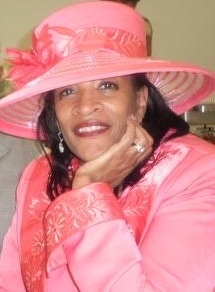 She is very proud of her children Darius,( Rachael) Ahmeed (Lauren) and Jhonna Turner and all of her grandchildren.